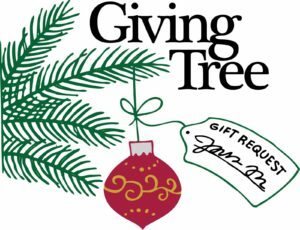 The Giving Tree offers members a way to give to those in need at Christmas time. You may purchase a gift by selecting a “wish” card from the board by the Giving Tree in Fellowship Hall, or by looking through the following list. Financial gifts for blankets, scholarships and other items are also greatly appreciated and will be honored with a white dove ornament placed on our tree. Toys for Beyond Housing and Pres. Children’s Homes need to be returned to the bin next to the Giving Tree by Sunday, December 9th. Other gifts such as personal care items and winter clothing should be delivered by Sunday, December 16th. Financial contributions will be accepted through December 31st. Webster Presbyterian Early Childhood Center – Donations for preschool and Kids’ Day Out scholarships Webster-Rock Hill Ministries – Donations to purchase space heaters and blankets for local families.